You were designed to be a great parent! If only your kids knew that, right? Join Stephanie & Rich Barrett as we take a fun and helpful look at the world of parenting. We’ll share dessert and specifically talk about parenting ages 10-14, preparing for and surviving the middle-school years. Reserve your spot today for this FREE event! Success at Access Church is defined by how effectively our ministries move people from our large environments into Community Groups. At Access the Community Group is the best place for sustained life change to occur. In a Community Group, people study God’s Word together and discuss the issues and challenges of life. It’s also where they pray, care for one another, and are missed if they don’t show up. Practically speaking, there will never be a way for the staff or elders to personally connect with everyone who attends our church. That’s why we place such a high premium on group life. It’s how we minister effectively at Access. The way you can get into a Community Group at Access is through an event called GroupLink. Visit our GroupLink Explained page to learn more. We’ll post the dates of our next GroupLink as soon as possible. Starting Point is a conversational environment where people can explore faith and experience community. It’s a place where your opinions and beliefs are valued, and no question is off limits. Click here to sign up or to ask questions about Starting Point. 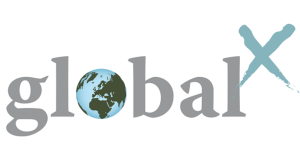 Check out our globalX page to learn more.